Like most of the world, we were horrified by the events in Newtown, CT on December 14, 2012. To be honest, I limited my exposure to the news coverage, in part because my heart couldn't handle the grief, and in large part because I was shielding our four-year-old son from learning how evil our world can be. 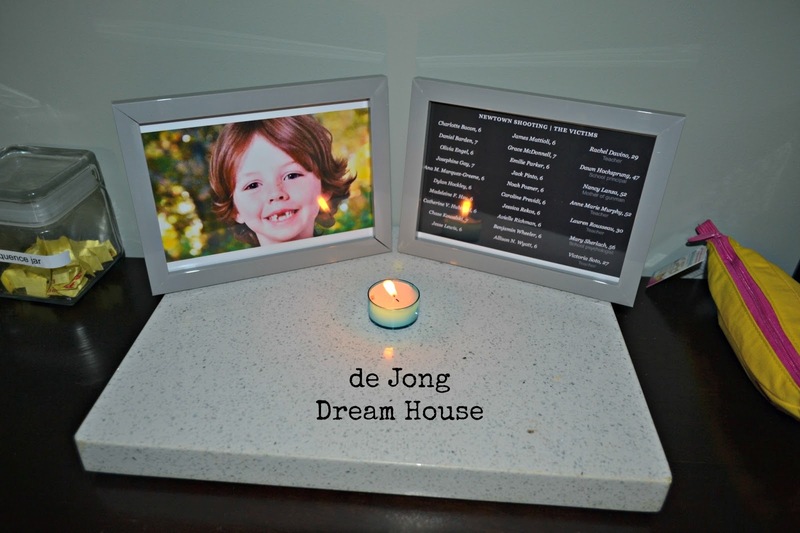 When I learned that one of the victims shared our son's name, I felt a deep connection to and sorrow for his family. With Christmas so close, I looked at the gifts under our Christmas tree, and thought of all the families who would not see their little ones tear open their packages. We had just celebrated our Daniel's birthday, so I couldn't help but think of all the birthdays Daniel Barden would not reach. As a parent, I tried to think of how to process such overwhelming grief in a way that is honest and helpful, but doesn't introduce fear to our child. I love the idea of the 26 acts of kindness that many are doing. In a more specific way, we made a donation to the Daniel Barden fund. But I wanted to think of something that would keep Daniel's memory alive in our family, not only as a reminder to savor the time we have together and not take it for granted, but also to remember to pray God's continuing comfort and blessing over Daniel Barden's family. First, I created a Google Alert for "Daniel Barden." Whenever there is a media mention of Daniel, I get an email with link. This reminds me to pray for his family, and keeps me aware of any needs that family may have. Second, I joined the What Would Daniel Do Facebook page to learn more about the kind, musical, sweet boy who was taken too soon. 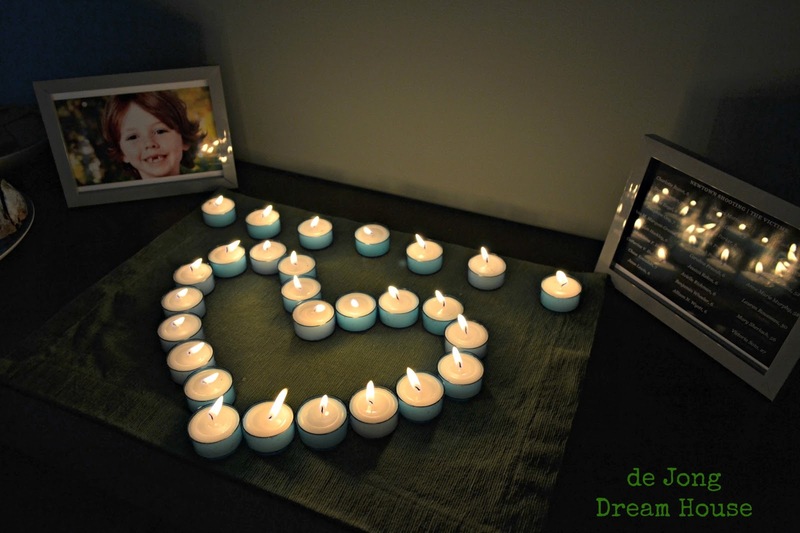 I framed a photo of Daniel Barden and always keep a candle next to it. We light it when we have a celebration. So far, we've lit it for Christmas dinner, our New Year's party, and my birthday. It's a way for us to remember Daniel as we celebrate all the milestones and moments of our life, and a way to appreciate the time we have together. 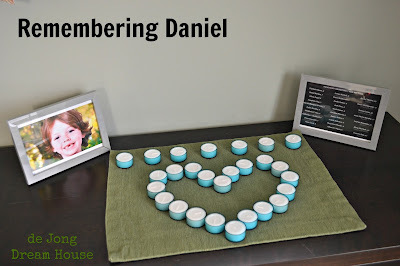 Our Daniel doesn't know what happened at Sandy Hook. 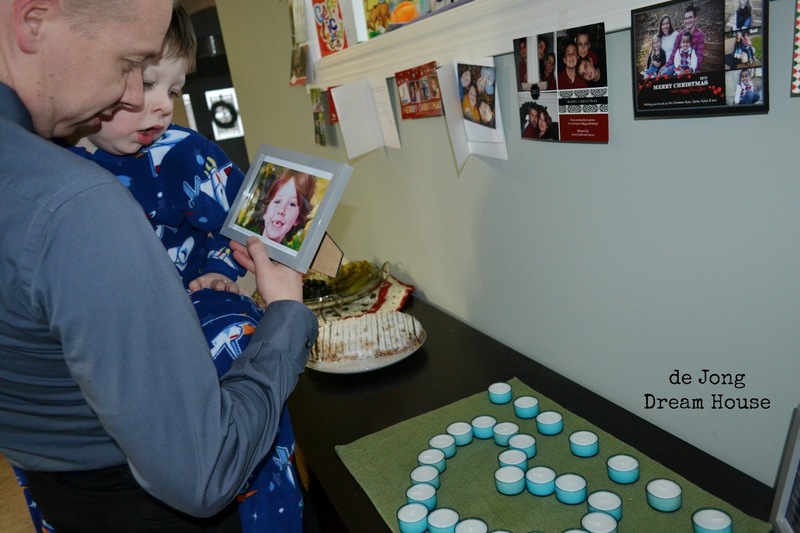 When we showed him the photo of Daniel Barden, we said that he was another little boy, just a little older than him, who went to heaven, and that his family is very sad. Our tenderhearted son, upon taking in this information, leaned forward and kissed the frame. On Christmas Eve, our church sang "Silent Night" acoustically, with white candles lit. My mom and I couldn't help but think of the SNL tribute and could hardly hold ourselves together. We had twenty-seven candles of our own ready to lit at dinner. 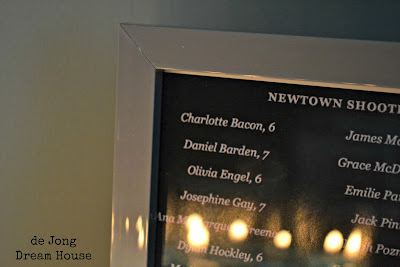 We also have a frame with a list of all twenty-seven victims. (Note: we chose to honor the shooter's mother as a victim as well). As time goes on, we plan to continue to make "lighting Daniel's candle" part of our family tradition. 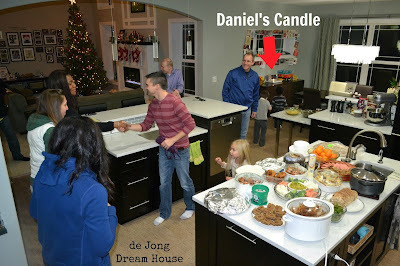 Daniel's candle was lit for our New Year's party. And again on my birthday this week. I wasn't sure I was even going to post about this. It's certainly not the usual happy post, but today I learned that a friend's mom died unexpectedly two days ago (on my birthday). Today is her birthday. It is also my mom's birthday. I called my mom in tears to wish her happy birthday today. In five days, it will be nine years since I sustained my traumatic brain injury. Life can change so quickly. Part of Daniel Barden's legacy is to help us remember that truth. Oh Linda, that must have been so scary! I LOVE the angels you painted. What a thoughtful, beautiful memorial. Such a beautiful, beautiful tribute. Thank you. It feels so woefully inadequate.